Jeffrey is an experienced IT Recruiter who spent over 15 years as a technology professional in both the public and private sectors including financial services, computer software, news media, healthcare, education, state government agencies, legal, nonprofit, and retail industries. 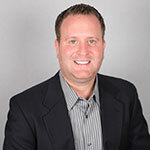 During his IT career, Jeffrey was involved in a number of major transformation, integration and conversion efforts resulting in streamlined technology operations while increasing productivity, system uptime, and end user adoption. He holds a Bachelor of Science in Information Management and Technology from Syracuse University.